Get Ready to Rock and Roll....Popcorns Sales Start September 6th! Click here for all your popcorn sales details!!! Summer is here and that means our Pack Summertime Program is in full swing. Check out the fun events we have planned. If you are interested in attending please let us know by registering via the EVENTBRITE link at the bottom of our webpage. The Pack Overnighter will be held Saturday March 24th – Sunday March 25th, starting at 1pm Saturday. 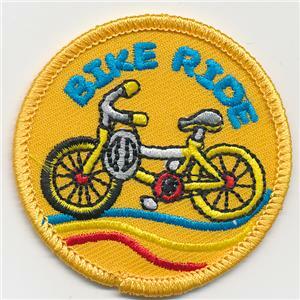 Like last year the event will be held in the Allsop Center at Camp Wakonda on the Howard H Cherry Scout Reservation. Please join us for this fun filled weekend. This is one of the highlights of our year and gives the scouts a great bonding time. We will have a scavenger hunt, games, movies, activities, hiking, and a campfire. All families members are encouraged to attend, but at least one parent is required. Dinner and breakfast will be provided. Click HERE to register on Eventbrite. Please respond to this at your earliest convenience to help us with food planning. Pinewood Derby Results are Posted! It was great to see all those scouts participating in the Pinewood Derby this year. I hope everyone had a fun. Thank you to all the volunteers that help with setup, inspections, check-in, awards, and clean up. Your help is most appreciated. Broomball 2018 is coming up. If you are unfamiliar with Broomball, imagine ice hockey without skates, using a broom-shaped stick, and played with a soccer ball. This is open to all scouts and their families. Last year we had a ton of parent and sibling participation and everyone had an awesome time. As ice time is precious, we ask that you arrive between 1:00 and 1:15 so that we are all ready to take the ice right at 1:15pm. We will be on the sheet of ice view-able from the lobby this year. Most equipment will be provided but please bring a bike helmet or similar helmet if you have one and winter gloves. They will be able to provide some helmets but there will not be enough for everyone. Every youth will need a helmet to play so if we are short we may have to share. You may also want to wear snow pants to provide some extra padding. Get your cars built because race day is fast approaching! Race Day: Saturday January 27th, 2018, Pierce Cafeteria. We will have the track set up for scouts to come and test their cars and make any final adjustments. We will have the official scale available for weight checks as well. - Lets Celebrate an Excellent Popcorn Sale! We have rented Bender Pool for a swimming event to celebrate the end of Popcorn Sales this coming Sunday! 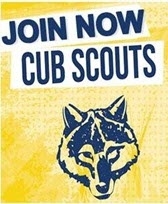 Come Join Pack 134 Pierce Cub Scouts! 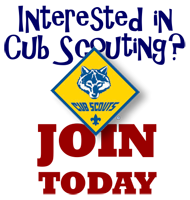 Boys in Kindergarten - 5th grade, come check out the fun of Scouting. We will have Gaga Ball, Push Cart Races, Slacklining, Art, & Refreshments!